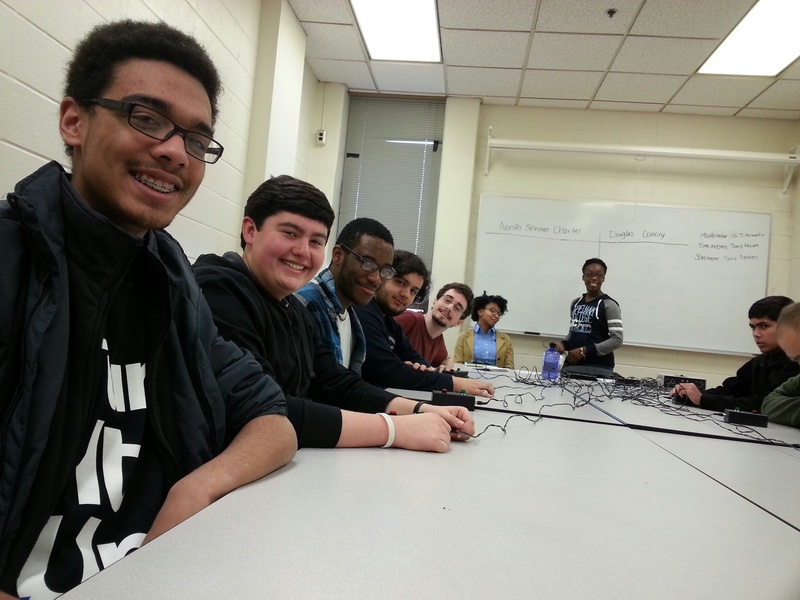 The North Springs science bowl team competed at the Sub-Regional Competition hosted on the campus of Georgia State University on January 25, 2014. The team placed fourth out of seven teams at the competition, meaning that their season is over. “It was disappointing,” commented sponsor Kristin Jackson. The North Springs science bowl team has had a successful recent history; two years ago, the team place second in the state of Georgia, and last year, they advanced to the state round again. Four out of the five competing members of Science Bowl from last year’s team graduated, so this year’s team is comprised mostly of new members. North Springs’ team sent five people to compete this past weekend. There are four people out of the team of five who compete at a time, with the fifth person acting as an alternate. In the competition, schools compete each other in a “trivia-bowl” format, with a moderator asking questions. The first team to buzz in has the chance to get the answer correct, with the team getting points for the answer being correct. No points are taken off if the team gets the answer wrong, but the opposing team has a chance to answer the question for points. There were two captains for this year’s team: seniors Barry Rich and Matthew Hannon. They are both experienced members of the Science Bowl team, and the only two veteran members. This year’s sponsor for Science Bowl is Kristin Jackson, teacher of anatomy and AP Biology. It is her first year as the sponsor for Science Bowl. Jackson took over the position from previous sponsor, Patricia Lawrimore, AP Environmental Science teacher. “I like doing science bowl because I think it is fun, and also I competed in science competitions in high school so I think it is pretty cool,” said Jackson. “I was very excited to compete at the sub-regional competition,” continued Jackson. While the team is disappointed that they are not moving on, much of the frustration lies not with the students, but with a lack of proper organization and protocol at the competition. There is still hope for the Science Olympiad team, which will be competing in Tifton next month.